The Thai Language classes are held on Sundays during the school year between September and June. Classes are taught by local volunteers. In additional to the normal school year, a Thai language summer program for youth, a joint program between Wat Buddhanusorn and the Department of Education, Chulalongkorn University, is also available. Classes are taught by instructors from Chulalongkorn University. During summer, classes are held 5 days a week for 10 weeks for children ages 5 and up. The objectives include practicing daily Thai conversation, learning Thai vocabulary and sentence structure, learning Thai alphabet, vowels and tone rules to the extent that helps students read simple words as needed for conversation drills. In this fun conversational language class, you will be learning how to pronounce words & phrases, date & time, asking for a direction, shopping, and etiquette for commonly encountered situations. The class is for business people, travelers, and the students who want to speak and understand the Thai language for everyday use. This class continues to increase vocabulary and build upon grammar concepts. The class emphasizes in daily conversation, writing, vocabulary, sentence structure, alphabet, vowels, and tone rules to the extent that helps students read simple words as needed for conversation drills. Class Prerequisite(s): Satisfactory completion of Adult Beginner or permission of the instructor. Students will continue to learn more advanced grammar skills including the past and future verb tenses while participating conversation on the wide variety of topics. The class emphasizes communication skills for work, travel or shopping. *Tuition fees are for September-June. Youth Thai Language for Saturday Class are divided by class levels as shown below. 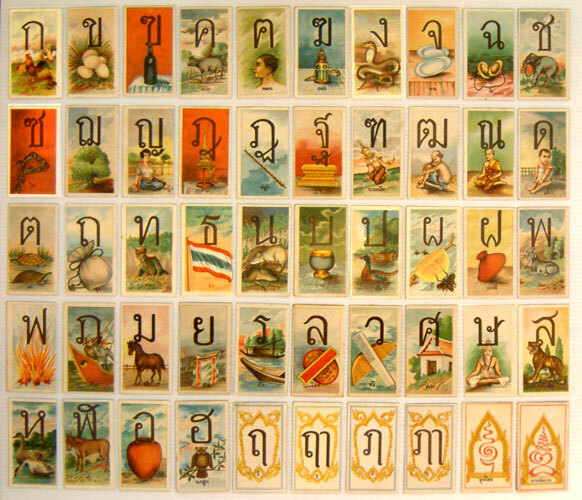 Youth Thai Language for Sunday Class : 9:30 a.m.-12 p.m.